Works by Randy Beckelheimer, Nicholas Coley and Heidi McDowell will be included at the Saint Mary’s Landscape Invitational at the Saint Mary’s College Museum of Art at 1928 Saint Mary Road in Moraga, CA. 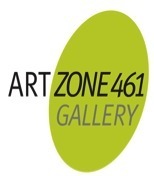 ArtZone 461 has arranged for a loan of works by James Weeks, Paul Wonner and Frank Lobdell for the Diebenkorn in Berkeley exhibition at the Richmond Art Center. The exhibition is curated by Jan Wurm.